All-over-IP Business Forum that offers compelling content and digital marketing tools to educate the Russian security and IT market throughout the whole year and brings leading brands, sales channels and end-users together each November in Moscow for a unique networking and technology event boasts of 6496 members in 2019. Those are distributors, system integrators, engineering and installation contractors, telecommunications service providers and end-users from key economic sectors including fuel and energy, transportation, building and construction, retail, banking and finance, real estate development and property management, gainfully involved in purchasing technology. Therefore, All-over-IP can provide valuable trends about Russia's demand for technology. The latest poll of 6496 security and IT professionals shows steady growth in demand for IT infrastructure and IP networks (+5.7%), video surveillance (+2%), access control (+4.8%), communication solutions such as IP PBX, video conferencing and unified communications (+3.6%), data storage including video surveillance applications (+2.9%). 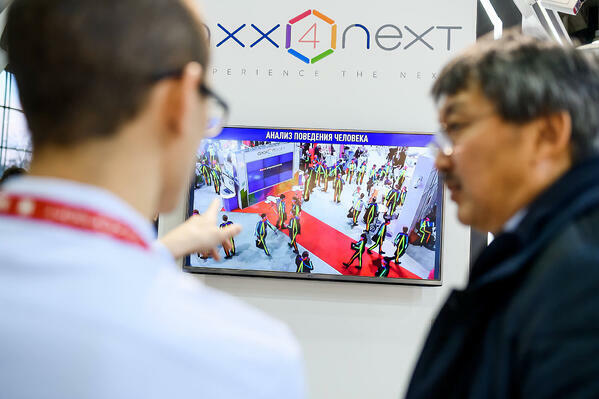 There is a growing awareness of and interest in embedded vision (+2.6%), biometrics (+4.8%), virtualization strategies (+3.4%), wireless (+3.1%) and NFC (+3.2%) approaches, time and attendance strategies (+4.2%) in Russia. Particular attention should be paid to explosive growth of the Russian market's demand for solutions, strategies and education in such areas as IoT and IIoT (+15.8%), VMS (+13.1%), access control management software (+21%), neural networks, deep learning and AI (+7.1%). All-over-IP goes a long way in helping the Russian security and IT market obtain useful information – technology and business insights, emerging technology trends, best practices, expertise from leading brands and authoritative leaders to boost their companies' performance and security. Require a copy of the latest All-over-IP Report based on the poll of 6496 IT and security professionals here or contact Olga Fedoseeva at fedoseeva@groteck.ru. General Sponsor: Grundig Security. Sponsors: AxxonSoft, Basler AG, Electronika, Rubicon.